Hungary is playing along Russia's hybrid aggression, she says. 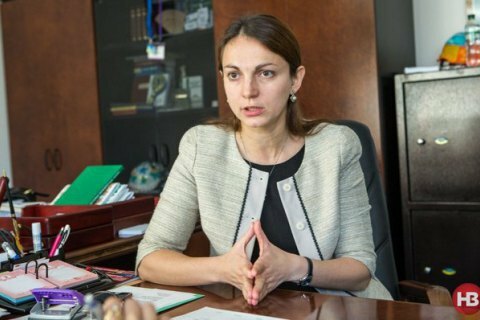 Kyiv will not agree to a Hungarian autonomy in Ukraine, the chairman of the parliamentary committee for foreign affairs, Hanna Hopko, has said in a commentary for LB.ua. She was commenting on the Hungarian ambassador's statement that "there is nothing bad in an autonomy, it is an acceptable model in the EU". "Although MPs and I repeatedly and clearly explained to the Hungarian ambassador to Ukraine – there will be no Hungarian autonomy in Transcarpathian Region," she said. Hungary must respect the Constitution of Ukraine and its territorial integrity and sovereignty, she said. She urged Hungary to stop looking for reasons to block Ukraine's European and Euro-Atlantic efforts to please Moscow. "Dear Hungarian neighbours: did you really forget Soviet tanks in Budapest streets in 1956? Today the Kremlin hybrid aggression threatens not only Ukraine but also Central and Eastern Europe, the whole continent. Such statements (about the autonomy – Ed.) either consciously or unconsciously play along the Kremlin aggressor," the MP said. The Foreign Ministry shares her view. "Unfortunately, Mr Ambassador does not understand clear, repeated and very official explanations that there can be no autonomy in Transcarpathian Region by default. Our constructive proposals regarding the law of education remain unanswered. Parallel reality…," Deputy Foreign Minister Vasyl Bodnar said on Facebook.